The Los Angeles International Airport (LAX) has been on an expansion tear in recent years. Following the announcement of a rail connection from Los Angeles to the airport, an accompanying transit hub, and a super jumbo airplane-oriented concourse expansion, a $336 million contract has been awarded to build three new terminal cores for the airport’s forthcoming people mover. As part of the terminal extension plan, Los Angeles World Airports (LAWA), the body responsible for overseeing LAX and the Van Nuys Airports, gave their final approval for a $336 million funding package on January 19th. 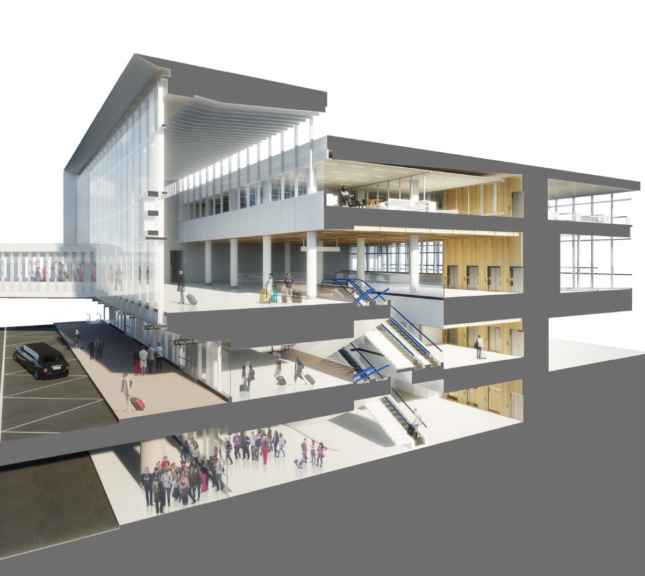 That money will go to Dallas, Texas-based Austin Commercial Inc., who have a five-year design-build contract with LAWA to build out three new terminal cores for the Automated People Mover (APM), as well as the surrounding elevators, escalators and walkways. All three cores are shooting for LEED Silver Certification. The new Terminal Core Project will see the construction of two cores between the existing Terminals 5 and 6 and the Tom Bradley International Terminal, and one at Terminal 7. According to LAWA, the three new cores will join another four being built privately, by American Airlines for Terminals 4 and 5, Delta Air Lines for Terminals 2 and 3, and Southwest Airlines for Terminal 1. Phase one of the Terminal Core Project will begin in the second half of 2018 and involve preliminary design. Construction will begin in phase two, which is expected to run from 2019 to 2021. 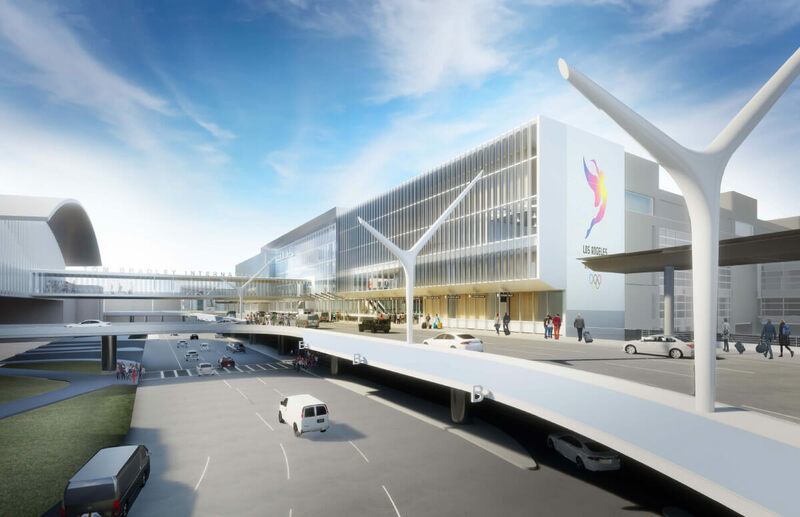 The $2.7-billion people mover project is just one part of the greater $5.5-billion Landside Access Modernization Program (LAMP), a modernization initiative meant to improve connectivity across the LAX. Besides pushing guests around the airport in a loop, the people mover will eventually connect with the forthcoming Crenshaw and Green lines once the $600 million Airport Metro Connector 96th Street Station is complete. The people mover is expected to run every two minutes, all day every day, for free, and eventually hit six stations around the LAX. LAX is the fourth busiest airport in the world and second in the United States, and the upgrades are long overdue. Corgan and Gensler have teamed up to design the $1.6-billion concourse expansion, which will hold an additional 12 gates and an 85,000-square-foot baggage area when it’s finished. Once LAMP is complete in 2023, the LAX should seamlessly connect with the satellite gates and the city proper through mass transit.